Happy birthday to Queen Letizia of Spain! To celebrate, we're dipping into her jewelry box and taking a look at the tiaras she has worn (or, in one case, hasn't worn yet!). Which ones are your favorites? Worn on her wedding day, this tiara was an early favorite of Letizia's. The piece is a German imperial heirloom, passed down from mother to daughter until it reached Letizia's mother-in-law, Queen Sofia of Spain. Sofia also wore the tiara on her wedding day. You can read a timeline of its interesting history over here! The lovely diamond floral tiara from Queen Sofia's collection has also been one of Letizia's favorite sparklers. The piece was made in the nineteenth-century for a Spanish queen, then meandered through exile before being reunited with Queen Sofia in the 1960s. 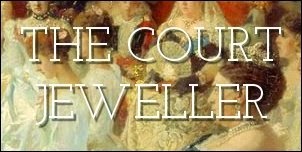 More on the history of this tiara over here! One of my favorite tiaras from Queen Sofia's collection is the nineteenth-century diamond and pearl shell tiara made by Mellerio. It's such a wearable work of art, but Letizia has only sported it occasionally. Sofia has made more consistent use of the piece -- see more about it over here! The infamous "missing" tiara from Letizia's collection finally made its first public appearance this year at Queen Margrethe of Denmark's birthday celebrations. It's the only tiara that Letizia owns personally. Much more about the debut of this tiara over here! Letizia hasn't worn La Buena yet, but since she's now the Spanish queen consort, she has the exclusive use of the piece. It's a century-old heirloom from Queen Ena's collection, and I think it's going to prove a challenge for petite Letizia to wear. I still hope we see her attempt it soon, though! More history of the most important Spanish royal tiara is over here!